The number of cases in the E. coli outbreak tied to Romaine lettuce grown in Arizona has boomed to 84 in 19 states, with 42 people requiring hospitalization, more than a half-dozen of them for a type of acute kidney failure, the Centers for Disease Control said Wednesday. 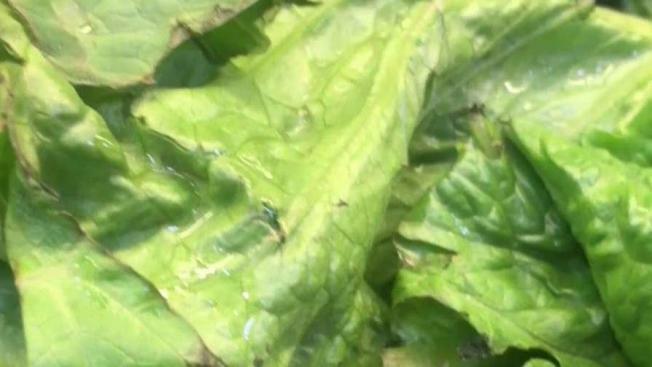 That's an increase of 31 people in 10 states just in the last week, when the CDC expanded its warning and told people to avoid all kinds of romaine lettuce that may have been grown in Yuma, Arizona. At first, the agency targeted chopped. Investigators still haven't been able to determine the original source of the outbreak, which has now affected people in New Jersey, Connecticut, Pennsylvania, New York and a wide swath of the south and midwest. The most cases have been reported in Pennsylvania (18), followed by California (13) and Idaho (10). To date, New Jersey has seven cases, New York has two and Connecticut has two. No deaths have been reported. Illnesses started on dates ranging from March 13 to April 12. Sick people range in age from 1 to 88, with a median age of 31. Most of the victims have been female. Nine of the 42 related hospitalizations were for hemolytic uremic syndrome, which can be a fatal form of kidney failure. Ninety six percent of 67 people interviewed in connection with the investigation reported eating romaine lettuce in the week before their illness started. Symptoms of E. coli infection include diarrhea, severe stomach cramps and vomiting.